But days earlier, Gov. Ducey told the Arizona Mirror that he is most interested in helping people who are “getting out of prison.” He said they “are the people we can deal with right now.” If that’s where he places his focus, however, Arizona’s recidivism rate will not be meaningfully reduced. We need to offer people more rehabilitative programs from the moment they enter prison and give them a chance to prove that they are more than their past mistakes. I have worked for years helping formerly imprisoned people re-enter society and I know from experience that training programs offered just weeks before a release date are too little too late for many individuals. If Gov. Ducey wants to be a champion for second chances, there are some important realities he must understand. Reality #1: When people are incarcerated for years, and even decades, getting a second chance becomes even more difficult. People in Arizona prisons serve significantly longer sentences than they would in other states. People will be released this year who’ve missed the revolutionary impact smartphones have had on nearly every aspect of our lives. People who struggle to navigate the internet will be surprised to discover they can’t apply for a job without it. Many times, these people want to ask a family member for help but can’t because being away from their family for so long creates an emotional and social barrier. The pain of not being present for years of holidays, birthdays, and graduations turns prison walls into interpersonal walls. No evidence has been found to show that longer sentences reduce an individual’s chance of recidivating. Instead, longer sentences cause irreparable harm to that person’s chances of finding sustainable employment, maintaining strong bonds with family, and reintegrating back into society smoothly. Reality #2: Living with a criminal record follows people for life. People in Arizona have no real opportunity to fully clear, or “expunge,” their records once they’re released. People who’ve been out of prison for years or decades still must explain their record to employers and landlords regardless of the crime, the circumstances, or how successful they’ve become. The result is a world in which people who’ve paid their debt are still shut out of society. Unable to vote. Unable to find stable housing. Dismissed by potential employers regardless of their work ethic or qualifications. Reality #3: Job skills training programs are not enough to lift Arizona out of its incarceration crisis. Only three states have higher incarceration rates than Arizona and they’ve all recently passed reforms that go far beyond job skills training programs like Gov. Ducey’s Second Chances Program, which is helping only a sliver of the people leaving prison. The Second Chances Program recently helped 1,692 people over a 19-month period. However, during that same time, nearly 31,000 people were released from state prisons. That means only 5.5 percent of people released go through the program. It’s hardly a drop in the bucket. Gov. Ducey has talked about expanding this program, but he also has an opportunity this legislative session to pass serious reforms that will be more effective at helping people stay out of prison after they’re released. First, Gov. Ducey could support HB 2270, which proposes to revise the Arizona law that requires all people in prison to serve 85 percent of their sentence regardless of the severity of the crime or the progress they’ve made in prison. The bill would allow people to earn early release credits for successfully participating in rehabilitative programs. HB 2270 would restore hope to people in prison by giving them an early release date to work toward. The sooner folks feel that hope, the sooner they become more engaged in their own reentry because they have the incentive of being reunited with their families and communities. Second, Gov. Ducey could support an expungement bill. Expungement would allow people who’ve served their time to move past their conviction and more fully reenter society without stigma if they have proven themselves to be productive members of society. It would make it easier for people to find housing and employment, which offer stability and reduce the likelihood of recidivism. Gov. Ducey often speaks about “opportunity for all.” These bills are his chance to make that statement a reality for more Arizonans. These bills would make him a leader in the smart justice movement, which has already swept through other locales, like Oklahoma and Mississippi. These conservative states have reformed their approach to sentencing and are investing in more effective public safety solutions, like drug treatment and mental health services. This is his opportunity to reduce the Department of Corrections’ $1.1 billion budget and redirect those funds to education, child welfare, and other vital programs. This is his opportunity to enhance public safety like other states that have reduced spending on prisons and seen greater decreases in crime. This is his opportunity to give incarcerated people immediate solutions that will help them be successful and meaningfully reduce Arizona’s recidivism rate. This is his opportunity to be a real champion for second chances. HB 2270 is not what it has been touted to be by AFSC, ACLU and others. First, as written, it is not retroactive and would not impact anyone already in prison. Second, for dangerous offenses, AFSC is claiming that it proposes to reduce sentences to 65 percent. It does not. The proposed math in the bill for dangerous crimes is 75 percent. If the bill were to become retroactive, there is a possibility that it would implicate Victim’s Rights, because a victim who may have supported a plea bargain offer in the past might have an objection to an inmate being released from prison much earlier than originally advised, and dangerous offenses will surely include crimes involving victims, as will other lesser crimes. No stakeholders were consulted prior to writing or introducing the bill, including the DOC, Victim’s Rights representatives, or knowledgeable persons who are competent in time computation of prison sentences. 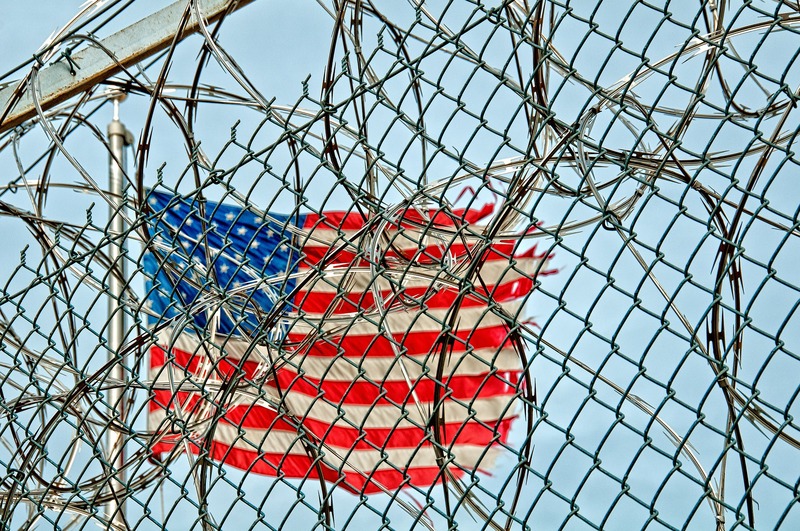 We support rationale, reasonable sentencing reform that does not compromise public safety. HB 2270 needs much work to reach that goal.